Patricia Lynn (Grassmyer) Semick, 60, of Macomb passed away at 5:53 p.m. Saturday, September 8, 2018 at her residence in Macomb. She was born on March 11, 1958, to Harold and Ella (Sturgess) Grassmyer in Peoria, Illinois. She is survived by two sisters, Sharon (William) Setser of Macomb and Christine "Tina" (Rick) Welsh of Bartonville, Illinois; three nieces, Dawn Pankey (Chad) Grainger of Denver, Iowa, Ginger Pankey (Stu) Westen of Mukwonago, Wisconsin, and Sherry Pankey (Scott) Whitsitt of Austin, Texas; seven great-nieces and nephews and a very special friend of fourteen years, Tim Luidahl of Macomb. She was preceded in death by her parents, and all of her grandparents. Patti graduated from Limestone Community High School in Bartonville, Illinois in 1976. She received her Bachelor degree from Western Illinois University in 2010. Patti worked at Commercial National Bank in Peoria for 17 years, starting as a young teller and leaving as the secretary to the bank president. She moved to Macomb in 1995. She worked at Bridgeway, Mid-American National Bank of Macomb, Spoon River College and most recently for Mosaic. She dearly cared for her clients at Mosaic and brought some of them to church most Sundays. 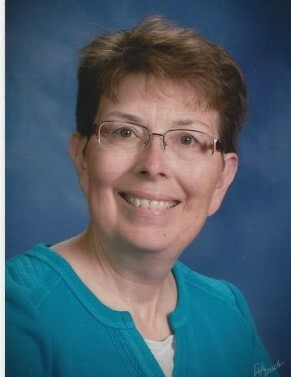 Patti was an active member of Maple Avenue Christian Church in Macomb. Pattis aging parents moved in with her in 1998. She helped care for them until their deaths. Patti had a love for animals, especially cats, which she raised over the years. She loved her home and took great pride in decorating the inside and tending to beautiful flower gardens outside. She was an avid antique shopper, and loved the challenges of resale shopping. She will be greatly missed by her family and friends, especially, by her two sisters. Funeral services will be held at 1 p.m. Thursday, September 13, 2018 at Maple Avenue Christian Church with Reverend Donnie Case officiating. Visitation will be held from 11:30 a.m. to 1 p.m. Thursday at the church. Cremation rites will be accorded and private burial of cremains will be at Forest Lawn Memory Gardens in Macomb at a later date. The family requests in lieu of flowers memorials may be made to the Maple Avenue Christian Church Building Fund or Humane Society of McDonough County.